After having this on my table for the past few days, I’ve decided it’s going to be my new way of giving flowers. This dazzling floral garden can be created in a short amount of time and is a unique way to display your florals! I’ve always been a fan of the succulent gardens, planted in shallow boxes that look gorgeous on a coffee table. 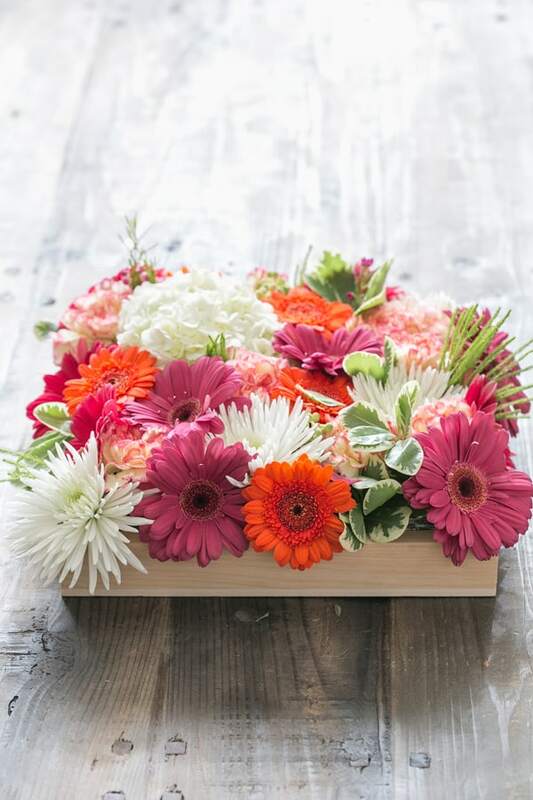 But since it’s spring and there’s an array of gorgeous bright-colored flowers, I thought it would be beautiful to create a “floral garden” using a 2 inch wooden box, floral foam and a selection of spring blooms. 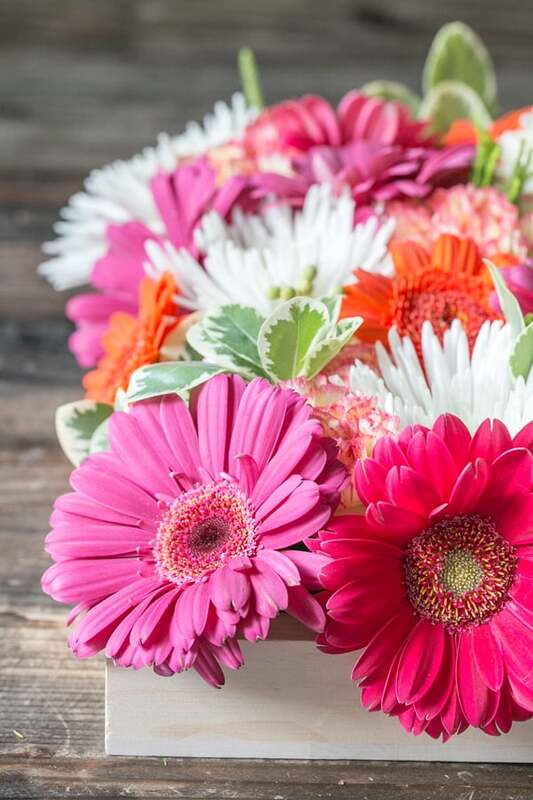 Although succulent gardens do last longer than flowers, you would be surprised how long this beautiful box of flowers stays fresh, adding a bold amount of color to the room. That is if you don’t have a baby pulling at them! 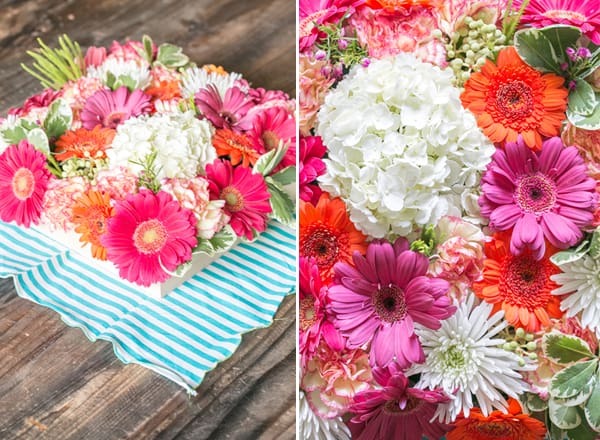 If you’re planning on giving mom flowers for Mother’s Day, try this out! Not only will they last longer, but they make a lovely centerpiece for the dining table, coffee table or bedroom dresser. 2 blocks floral foam, 2 inch deep, square wooden box, plastic wrap, Lots of gorgeous flowers! 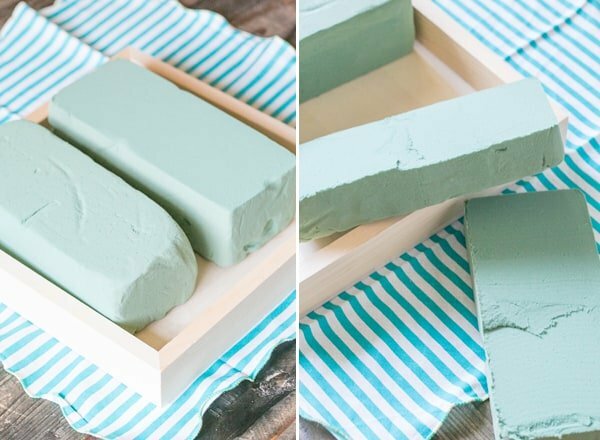 Cut the foam through the center… so you have two pieces that will fit into the box. You’ll also need to cut some smaller pieces so you can cover the entire bottom, kind of like a puzzle. 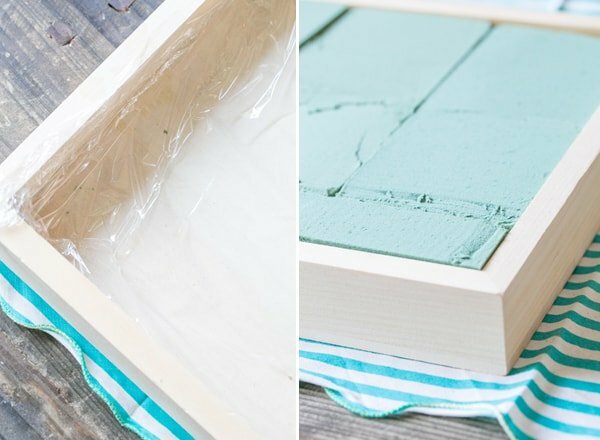 Cover the bottom with plastic, wrap and tape it to the sides. Soak the foam in water, then, place it back into the box. Cut flower stems short and arrange! Beautiful arrangements!!! Love this idea! Where did you get the box? Hey Ashley! The box is from Michaels Arts and Crafts! I can’t wait to try this.